It’s the question that’s been asked millions of times on motorcycle forums all over the world wide interwebs. Which is better, a 600 or a 1000? At the end of 2015 I made the decision to finally trade in my trusty 2004 Yamaha R6 for something a bit newer, and a bit more powerful – a 2010 Honda CBR1000RR. Having spent a season riding the new bike I feel now would be a good time to get my thoughts on the differences I’ve found between them which I hope will help you find an answer to this much asked question with many possible answers. I loved this bike, I really did. 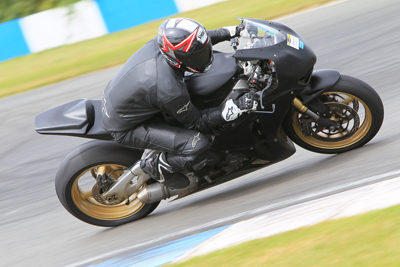 I loved it because it was a lot of fun to ride, but also because it’s the bike that took me through the track day groups to the upper end of the fast group and was the vehicle that I used to become the rider I am today – so it’s fair to say there was a little bit of sentiment there. The bike ran in almost entirely stock form, but even so I don’t ever remember feeling that the machine was not allowing me to do what I wanted it to do. It turned as quick as I requested, went where I asked and held the line I was looking to take. The engine, while lacking outright power to more modern machinery, made you feel like the fastest thing on the planet. Getting the rear hooked up and having the engine screaming with the throttle hard on the stop as you shoot out of a corner is one of the best feelings performance riding can bring. My immediate feelings jumping onto the CBR1000RR was that everything felt better in terms of the steering and controls, but that shouldn’t be surprising given the bike was 6 years newer and had upgrades littered all over it. From a handling point of view it’s pretty much incomparable because not only was it newer, it was running upgraded suspension components too. It turned sharper and felt smoother as a result. I think the biggest take-away of that first session was the speed on the straights. I’ll always remember getting onto the back straight of Snetterton, opening up the taps and thinking how much faster it was, THEN realising that I didn’t actually have the throttle all the way open. For a very brief period (a couple of straights) it actually left me a little shocked because it was more acceleration than I’d ever experience before. After a session or two, however, it began to feel normal. There’s this notion that they are two very different bikes to ride, but for the most part they’re not. It felt a bit better to ride generally for the reasons I mentioned above, really though they were simply the sort of improvements you would expect when stepping up to a 6 year newer machine, be it a 600cc or 1000cc bike. The biggest difference comes from the power at the exits. On the R6 I could be a lot more aggressive with the throttle coming out of the corners, and I would be on the throttle stop earlier and with more lean too because a full turn of the throttle on the R6 was giving me around 100bhp when sitting in peak power revs. That’s around 70bhp+ less than the Fireblade. Being fast on a 1000cc machine comes from the ability to use the power at corner exits and that’s where I found my biggest challenge, particularly early on. In lower gears in particular, even when you’re at a lean angle where you can apply full throttle without fear of losing rear end traction, you still have to be wary of the front end lifting as you try to lay down as much power as possible. Having more low down torque also means is easier to spin the rear tyres as you begin to roll on the throttle at higher lean angles. A competent rider on a 1000 should be able to comfortably outdrive a 600 at corner exit, but what all the extra grunt means is that the management of how you get that power down becomes more difficult for riders with less experience of high powered machines. This is why many riders don’t immediately go faster when they jump onto a 1000cc motorcycle. It is a challenge, and one that took me a fair bit of time to feel like I was getting as comfortable exiting corners as I was relative to my 600. At top racing levels, maybe, but at track day level, not so much. When you observe riders at the top of the sport you will see differences in the way they ride the machines, and in many cases the 600cc motorcycles will often be running higher corner speeds than the 1000cc machines in the other classes. That being said, it’s not so much because the 1000 is incapable of higher corner speeds, but more that the riders are riding the litre machines in such a way that allows them to make better use of their biggest advantage. The bike’s power. In a lot of corners this means scrubbing off more speed, entering deeper, turning tighter and driving out harder. On a 600cc there’s a little more trade off at the exit where racers will look to run more speed into the corner to carry more momentum through and out of the corner. They essentially sacrifice an earlier throttle application for higher terminal corner speed to keep up momentum. At track day level this point becomes almost irrelevant. 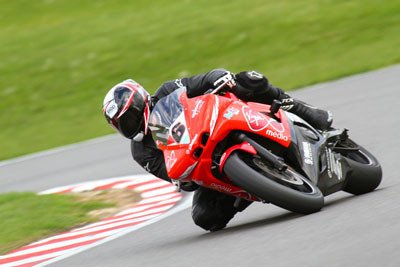 With modern tyres and machinery the corner speed potential comes entirely down to the rider and their confidence to run higher corner speeds, not from a limitation or characteristic of the bike. In terms of corner speed potential there really isn’t that much difference between the speed the 600 can do vs what the 1000 can do. By this point you’re probably coming to the right conclusion yourself – neither. For me the 600 was a fantastic tool to grow and improve as a rider. It’s a good balance of not enough power to scare yourself early on, but enough that you’re not left behind by everything around you and it still gives you something to grow into. They’re a lot of fun to ride fast, and very rewarding too. Mixing it with bikes you probably shouldn’t be mixing with, particularly at tighter tracks, can also be a lot of fun. In terms of handling they aren’t too dissimilar when talking about bikes of a similar age and spec. They’ll have much the same steering ability and much the same corner speed potential, the difference (and challenge) simply comes from trying to get those extra horses down onto the track. When you do though, the feeling of nailing an exit on the 1000 is a very pleasing experience indeed.